It's all been leading to this! 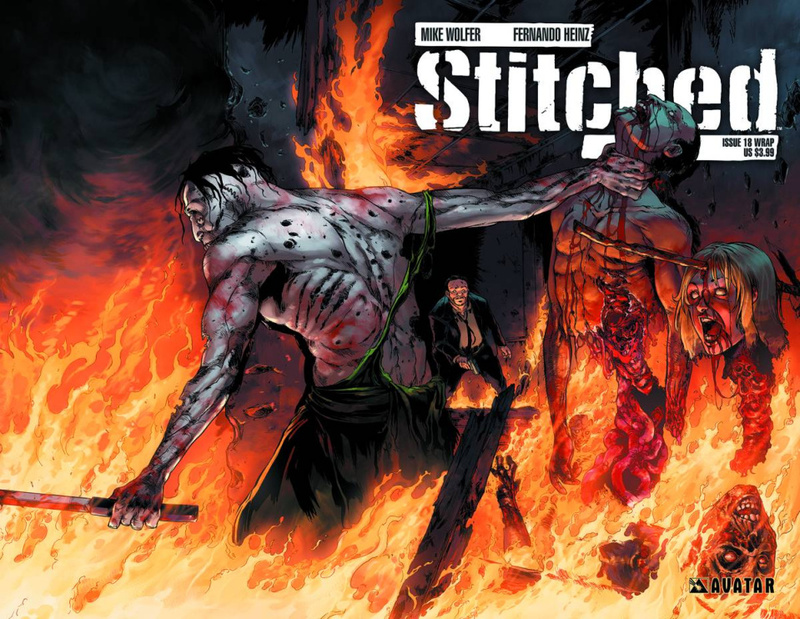 The final showdown between the Shinju-kai and the newly transformed "Stitches" begins here. Kenji Nakamura leads his supernatural samurai into the very heart of the Shinju-kai office building, but he doesn't know that the Shinju-kai have prepared for the assault. Betrayal is the order of the day and no one but Katsumi knows the hideous secrets of the Stitched! Available with a Regular, Wraparound, Gore, and special Slashed Incentive cover by series artist Fernando Furukawa.